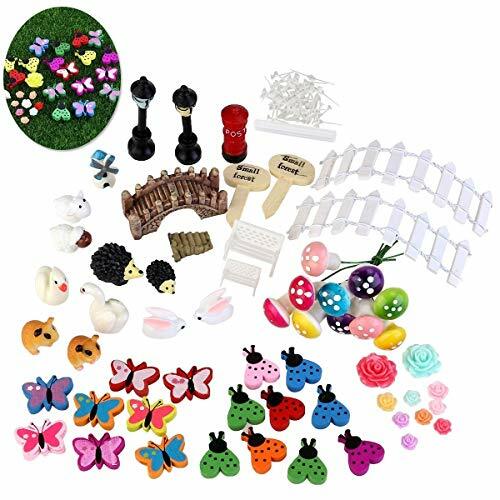 58 Pcs ornament kit is very fun for older children and is great for their imaginations to create funny fairy garden, suitable for DIY decoration of mini garden views. Can be applied in miniature garden, dollhouse and plant decoration，you put the ornaments easily to the position you like. Creat your own fairy garden and dollhouse. Perfect as a good gift for children, lover, friends and family. The ornaments are tiny that are not suitable for children under 3 years old, 12-month warranty,provide best service to every customer .